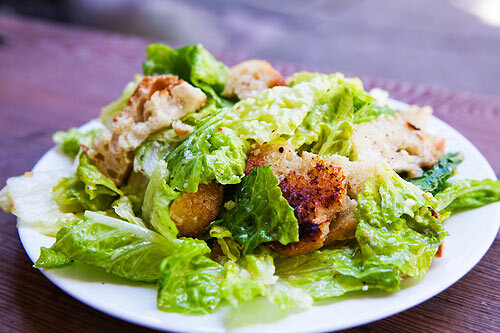 I just posted the recipe for my “Jughandle’s Modified Caesar Salad” that I think you’re going to like. The modification is a substitution of limes for lemons and I use a tablespoon of mayo instead of a raw egg for the emulsifying element of the dish. Let me know what you think. It dawned on me that many people don’t know what causes food poisoning and don’t know proper food handling procedures to prevent illness. Food poisoning, also called foodborne illness, is a common, distressing, and sometimes life-threatening problem for millions of people in the U.S., and throughout the world. People infected with foodborne organisms may be symptom-free or may have symptoms ranging from mild intestinal discomfort to severe dehydration and bloody diarrhea. Depending on the type of infection, people can even die as a result of food poisoning. 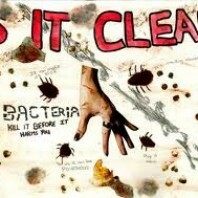 That is why it is very important to take steps to prevent food poisoning. Follow these general guidelines to avoid contracting a foodborne illness. Make sure that food from animal sources (meat, dairy, eggs) is cooked thoroughly or pasteurized. Using a thermometer is recommended. Avoid eating raw or undercooked meats and eggs. Check expiration dates on meats before purchasing and again before preparing. Carefully select and prepare fish and shellfish to ensure quality and freshness. If you are served an undercooked meat or egg product in a restaurant, send it back for further cooking. You should also ask for a new plate. Be careful to keep juices or drippings from raw meat, poultry, shellfish, or eggs from contaminating other foods. Do not leave eggs, meats, poultry, seafood, or milk for extended periods of time at room temperature. Promptly refrigerate leftovers and food prepared in advance. Wash your hands, cutting boards, and knives with antibacterial soap and warm to hot water after handling raw meat, poultry, seafood, or eggs. Wooden cutting boards are not recommended since they can be harder to clean completely. Do not thaw foods at room temperature. Thaw foods in the refrigerator and use them promptly. Do not refreeze foods once they have been completely thawed. 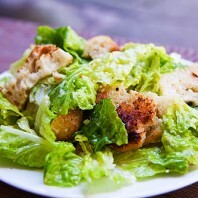 Wash raw vegetables and fruits thoroughly before eating, especially those that will not be cooked. Avoid eating alfalfa sprouts until their safety can be assured. Methods to decontaminate alfalfa seeds and sprouts are being investigated. Drink only pasteurized juice or cider. Commercial juice with an extended shelf life that is sold at room temperature (juice in cardboard boxes, vacuum sealed juice in glass containers) has been pasteurized, although this is generally not indicated on the label. Juice concentrates are also heated sufficiently to kill bacteria. Be aware of proper home-canning procedures. Instructions on safe home-canning can be obtained from county extension services or from the U.S. Department of Agriculture. If you are ill with diarrhea or vomiting, do not prepare food for others, especially infants, the elderly, and those with weakened immune systems since they are more vulnerable to infection. 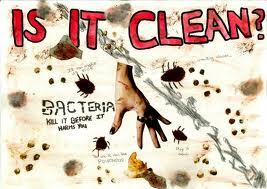 Wash hands with soap after handling reptiles, birds, or after contact with human or pet feces. Mother’s milk is the safest food for young infants. Breast-feeding may prevent many foodborne illnesses and other health problems. Cook foods until they are steaming hot, especially leftover foods or ready-to-eat foods, such as hot dogs, before eating. Although the risk of foodborne disease associated with foods from deli counters is relatively low, pregnant women and people with weakened immune systems may choose to avoid these foods or thoroughly reheat cold cuts before eating. For more information on preventing foodborne illnesses contact the CDC. Note from the Farm: Jughandle always keeps a bottle of cheap vodka on the counter when he’s cooking to wipe down the counter and chopping blocks with. Also soak your sponge in vodka and clean your sink and faucet with it. Vodka in safer than bleach.